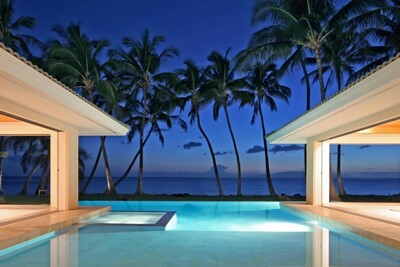 This is where we post news about homes, market trends, information about Maui and tips for home buyers and sellers. One of the most anticipated days during the home buying process is when you have your walk-through which is usually scheduled sometime right before the closing of escrow. 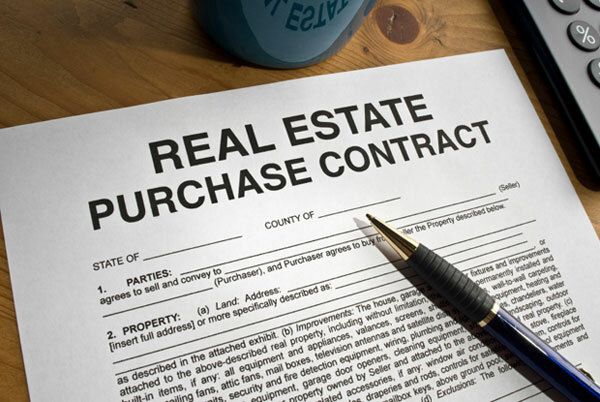 This step happens when you as the buyer and your agent explore your home-to-be and check to be sure it is in the condition specified in the contract. It's probably the first time you've been back in a few weeks or so and it's empty now of the seller's possessions. It's going to look and feel much different without furnishings and probably won't have that "live in" feel but it will be easier to envision yourself in the space now. The seller is responsible for having the place empty unless there were some things included in the purchase contract in writing. Take the time to look around the interior and exterior of the property to be sure all the seller's stuff is gone. You don't want to be stuck with unwanted "junk". whisk through the walk-through. This can sometimes lead to small issues once the buyers take ownership. It's smart to think things through and be diligent, carefully making your way throughout the house. Make sure the floors are swept and cleaned, carpets vacuumed, bathrooms and kitchens wiped down. Test the appliances to be sure they still work. It doesn't hurt to test out the electrical outlets. Bring your cell phone and plug it into the outlets as you move from room to room. Make sure you receive all the keys: a complete set of every door lock in the house, shed and garage. And don't forget the alarm codes if any. If it's a condo you purchased, be sure you've received the mailbox, pool, storage and unit keys. The journey toward home ownership if often long with ups and downs along the way. The final walk-through is one of the last steps of what could be multiple year processes. It is helpful to prepare yourself for it by having a checklist and keeping your emotions in check. This will help ease the way towards a smooth close of escrow. The typical mortgage is set up so you make a specific payment every month, and at the end of the repayment term, you completely own your home. A balloon payment mortgage, though, is designed with a short repayment term and a large payment due at the very end of that term. The large payment is called a balloon payment, and it's important to understand the details if you're considering getting a balloon mortgage. Balloon payment mortgages are typically amortized over 30 years, which means the payments are calculated as if you will be making them for 30 years. However, after the repayment period, typically 5 years or 7 years, the remainder of the balance is due. If you still have the mortgage when the balloon payment is approaching, you need to either gather enough cash to make the payment, sell your house to make the payment, or refinance your mortgage. The specific details of the balloon mortgage will depend on your lender. Some offer the ability to convert the balloon mortgage to a traditional fully amortized mortgage without a balloon payment if you still have the mortgage when the balloon payment is due. 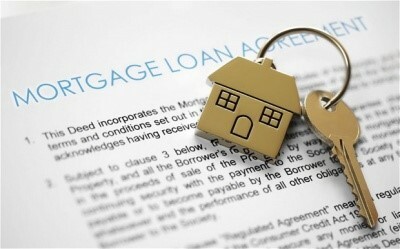 Other mortgages, though, do not offer any guarantee that you will be able to refinance when the payment is due. If you can't come up with the payment, your home could go into foreclosure. That is why it is critical to understand the specifics of your mortgage and to know whether it is the best arrangement for you. If you know you will sell your home to move out of the area or buy another home before the balloon payment is due, this type of mortgage allows you to get a lower monthly payment than a traditional 30-year adjustable rate mortgage or fixed rate mortgage. Investors often use balloon payment mortgages because they earn enough income from renting out or selling the home to make the balloon payment when it is due. You can pay off the balloon mortgage by refinancing, so perhaps you are confident interest rates are trending down or you know you will qualify for a lower interest rate in a few years after you put some effort into improving your credit score. If you are looking to buy a home in Maui or Hawaii and live thousands of miles away, here are a few tips. Buying a home is always a bit of a daunting process, but it can feel like even more of a challenge when you live hundreds, or even thousands, of miles away from where you will be buying. With the help of online resources, an in-person trip, and a great real estate agent, you should be able to make a purchase with confidence. Start your home search by asking friends and family for recommendations of a real estate agent in the area. Even if they don’t live there, they may know someone who does. You want to choose an agent who is a strong communicator because you will be doing so much of the work from a distance. Once you have an agent, talk in depth about what you are looking for in a home and neighborhood. You want your real estate agent to be your eyes and help identify homes that might be right for you. Use online resources to help you learn more about homes you might be interested in. Online home listings with photos are a great place to start, but remember that there’s more to a house than what you see in a listing. Look up information about the local schools, shopping, dining, and entertainment to help you get a sense of the area. You can even use the Street View feature on Google Maps to take a virtual walk through the surrounding streets and see what the neighborhood is like. Wait until you know there are several homes you are very interested in, and then plan a weekend trip so you can see them all at once. Hopefully, that one trip will be enough to introduce you to your new home, but if you don’t find one that will work, debrief extensively with your real estate agent and plan to make another trip once some new inventory that interests you is available. One of the biggest factors in the real estate market is the interest rate - specifically in the traditional 30 years fixed rate mortgage. While there are many types of loans available, the 30 year fixed seems to be the benchmark. So far in 2015, our average interest rate through May is 3.73. This compares with 2014 at 4.17% and 2013 at 3.98%. We have been experiencing an unprecedented run of low-interest rates. Annual average interest rates have remained under 6% since 2008. Many folks think that single digit interest rates are here to stay. I remember the days when you were lucky to get 10%. Back in 1990, the average rate was 10.13% and in 1980 13.74%. The real spike occurred in 1981 with an average of over 16%. So why talk about all of these numbers? I believe that history is important and we only fools ourselves if we think that we can't learn from what's happened in the past. Conventional wisdom says we are in an environment where interest rates are trending up. Just because we haven't seen it yet, doesn't mean it's not coming. I don't expect to see the skyrocketing interest rates but conversely, I don't see interest rates plummeting. I do believe that if you are considering making a move to purchase real estate, now is the time to lock it in. There appears to be a good window of opportunity. There are a few reasons why I think this is a good time to buy. Real estate demand here continues to be high. We have a strong local market for full-time residents and a continuing trend of second home/vacation home buyers looking for a place to stay while visiting. Many of these buyers plan to use this second home as their primary retirement residence. 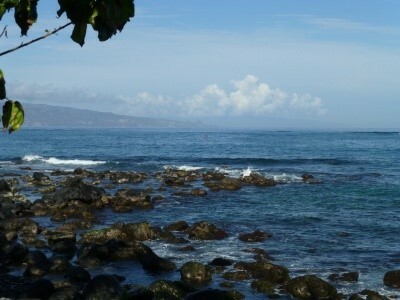 Maui also has a limited inventory in a limited geography. Basically, if you want to buy Maui you have only what's available on the island. There are no suburbs or places "just a short drive away". This means that buyers are looking at the properties for sale and finding something they can make work even if it may not be exactly what they want. And the nice properties and deals don't last long. All of these factors combined with current low-interest rates and the anticipated rise in interest rates make now an excellent time to make the move. If you're looking for fun and the sun while experiencing eclectic style, Maui's North Shore is it. Probably the hippest small town on the island, Paia has both a local and international vibe. From young surfers to traveling retirees, this town has been known as a windsurf capital for many decades. 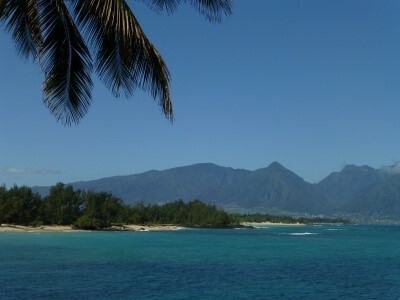 Beginning as a sugar plantation camp over a hundred years ago, Paia has become one of the top destinations in the world. It's a quaint bustling town filled with great places to eat. You can find a healthy delicious snack at Mana Foods, a fresh fish plate from Paia Fish Market or an international flavored meal from France or Brazil at one of the other restaurants. It's also relaxing to sit and enjoy a cool margarita at Milagros while people watching on the corner of Baldwin Ave. Or if you're visiting in the evening, be sure to stop by Charley's for some of their home-cooked food and live music. There are many boutiques to find one of the kind pieces to take home or to gift someone with. From locally made swimsuits, jewelry and soaps to antiques and gemstone beads. Paia's got a treasure for everyone. It takes half a day walking about the area and taking it all in. While on the North Shore, you must experience the legendary Mama's Fish House in Ku'au just before Ho'okipa Beach Park. Even if it's just for a cocktail while overlooking the water. It can be a little pricey but totally worth the experience. Surfers travel far to discover and experience some of the perfect wind conditions of the North Shore. I have spent many years on the North Shore, wind surfing and soaking in the salt and sun. It's no wonder visitors decide they want to move to Maui after some time on the beach and experiencing the laid back lifestyle of island living. What's to know about a Condo? Condominiums actually originated in Hawaii as a way to maximize real property - by building ownership vertically! Because they continue to be a popular choice in purchasing for both residents and visitors, I decided to drill down a bit deeper into condominiums. Here on Maui condominium purchases account for a majority of real estate transactions closed each month - averaging between 80-100 each month. The median price has risen to $445,000 in 2017. Over the course of the past few years, as the market continues to strengthen, we have experienced increasing volume and sales price for condo units. For anyone looking to purchase on Maui it is very important to get all of your facts straight and understand the market. Hawaii condominiums can be a bit complicated especially if you are not from an area that has such a economic reliance on tourism. First of all, there are many different types of condominiums and those differences are critical factors when making a purchase decision. 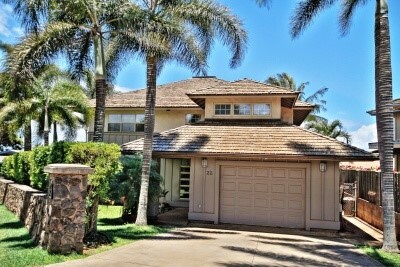 Here on Maui we have condos that are Leasehold and Fee Simple. Leasehold properties are in essence long term rentals. You pay for the unit, but you do not have an ownership interest in the land and when the lease on the land expires so does your unit ownership. 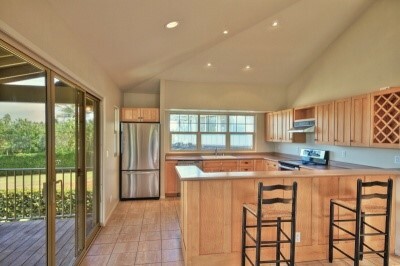 I typically advise clients to look at only Fee Simple properties which fit the traditional description of condos. You own the unit and have an interest in the common areas and land on which your condo sits. For the purposes of this article, I am talking about fee simple only. Now we need to explore the next level of condo classifications. There are three types of condominiums and their distinctions can be very subtle but very important when it comes to purchasing. This is the most traditional type of condo. Warrantable basically means that it can be financed through agency or federal sources - for example Freddie Mac or Fannie Mae. There are many requirements, but one of the most important criteria is that the complex is at least 51% owner occupied. That means either owners who live there full time as their primary residence, or owners who reside part time as their second home. Because these properties are financeable through traditional and governmental sources, the downpayment requirements can be very small. While this may sound very straightforward, this is not the most typical type of condominium on Maui. Condominiums in this category may look exactly like the ones outlined above, but there are some important differences. Most of the time it has do with the owner occupancy level falling beneath 50%. 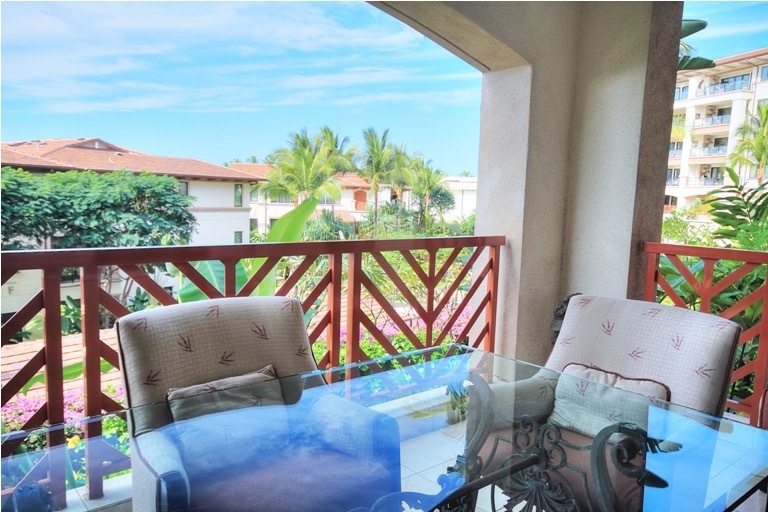 With high real estate prices, there is a large and consistent demand for long term rentals. Long term rentals are defined as six months or longer. Short term (or vacation) rentals are also a common factor determining non-warrantable condominiums. If the Homeowner's Association Rules allow for vacation rentals the complex will fall in to this category. Short term rentals are generally defined as rentals less than one month. If you are buying a condo in this category and using financing, you can expect a slightly higher interest rate and a larger downpayment. 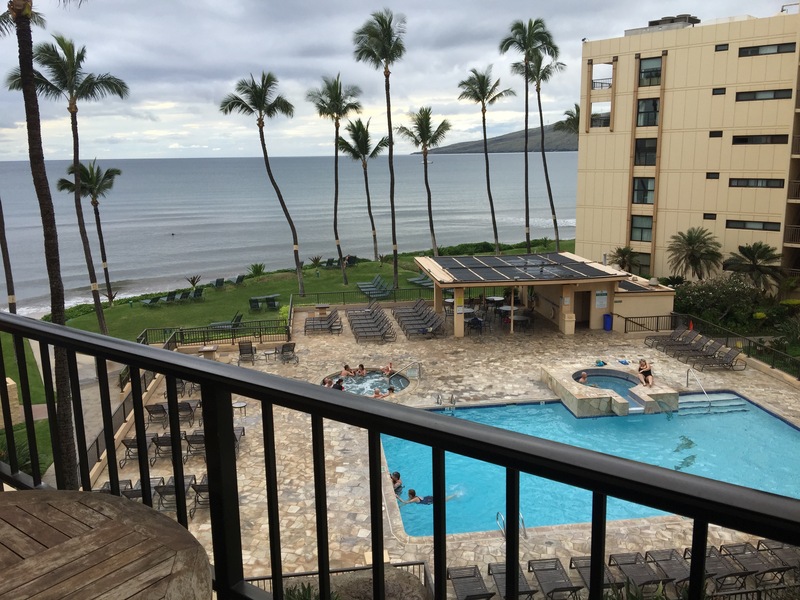 In a vacation destination like Maui, condo-tels or Condo Hotels are relatively common. What defines a condo-tel is the presence of some amenities that are commonly found in hotels. These can be things like a reception desk, concierge, activities desk, etc. These types of condominiums are treated very differently by lenders. Many mainland lenders are not familiar with this type of property and will not lend on them. If you are looking for a condo of this category the best thing to do is contact a local lender who is acquainted with the various classifications of condos and can provide financing options. As a note, condo-tels typically require a larger downpayment than traditional condo financing. My best advice in this, and any considered purchase, is to gather all of the information you need to make an informed buying decision. Your realtor will be able to help you identify properties that fit your needs and desires. Realtors will also know the different classifications of condos. You also need to obtain information from a lender. Understanding your options and the financial requirements for each s is a critical piece when making a purchase decision. You don't want to get in the middle of a transaction only to discover that your bank will not lend because of the condo classification. Especially for condominiums, I do recommend talking to a local company for financing. They work every day with the three different types of condos. Selling a home can be a stressful experience. Making the decision to sell is just the first step. You need to consider what you need to get out of the sale. That could mean a lot more than just the financials. Of course you want to get as much for your home as possible but there may be other considerations. Things like how quickly you want to move and what you have to do or want to do to your property before you put it on the market are some of the factors to reckon with. Then you need to figure out what price to list your home. Your realtor can provide you with valuable information about the market and what pricing strategies could work for you. Now you sit and wait for those offers to start rolling in! Sellers and their agents eagerly anticipate the first offer. The best advice I give to sellers while they are waiting for the market is to not take anything too personally. Sellers always tend to place more value on what they are selling. After all, most of us have put a lot of time, money and energy into our homes. Conversely, buyers tend to undervalue because they are interested in getting the best deal they can. So as a seller, expect that you may be disappointed in the offer - sometimes the first one that comes. The key to evaluating any offer is to look at the whole contract, not just the price. Look at the offer as a whole, and take note of the advantages. For example, perhaps the buyer is not asking for any concessions on closing costs, which could take away from the amount of another offer. If you have already bought your new home and the buyer is proposing a quick closing, that could be very financially advantageous for you. A buyer with strong financials, who may even be able to pay cash, also benefits you, because the sale is more likely to go through without delays. Also, keep in mind that you can always come back with a counteroffer. Even coming down a little bit from your asking price shows the buyer that you are willing to negotiate. The buyer may then come back with another counteroffer that is more in line with what you were expecting to get from the sale of your home. As long as you keep the lines of communication open, the offer can turn into a contract. Buying a home is one of the biggest purchases someone can make in life but securing a mortgage loan doesn't have to be difficult. What is a Mortgage? A mortgage, or mortgage loan, is a legal agreement where a lender offers money to a borrower to purchase real estate in exchange for interest. The loan is secured by the real estate, so if the borrower fails to repay (defaults) the lender can foreclose, selling the property to pay off the loan. Mortgage rates are mixed today. Rates on mortgages change daily, but overall, they are historically low. If you are looking to purchase or refinance, it's a great time to lock in a rate. Be sure to shop around for the best mortgage rates. Mortgages come in two primary forms- fixed rate and adjustable rate- with different combinations of each. An understanding of interest rates and the economic influences that determine the course of them can help consumers make sound decisions. Another aspect of the mortgage loan rate is the amount of the down payment when purchasing real estate. The more down you put towards to the purchase initially, the less your loan will be. Fixed Interest Rate Mortgages: The interest rate on this type of mortgage is fixed for life, with equal monthly payments for the life of the loan. During the first part of the loan, most of the payments go towards the interest. Fixed interest loans can be for 10, 15, 20 years but the most popular are the 30-year loan. However, on average a 30-year fixed-rate mortgage has a lifespan of seven years since homeowners frequently move or will refinance. Adjustable-Rate Mortgages: The interest rate on adjustable rate mortgages may change monthly, every six months or annually depending on the terms. The interest rate on this type is tied to an index. There are several different mortgage indexes used for adjustable rates. These types of loans are best for those who expect to sell or refinance before the first or second adjustment. Closing on loans: It's taking a little longer to close on a loan. Recently, the average time to close on any type of loan was 45 days. Understanding what influences current and future types of mortgage rates can help you make financially sound mortgage decisions. 1. If you're not sure where to go for information on the mortgage process, ask your real estate, agent. 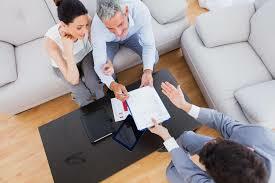 Oftentimes, they will work closely with one or a few mortgage brokers. 2. Check information online prior to the loan process so you have some knowledge going into the process. Thankfully, the internet is a great resource for all types of things. 3. Having a solid two-year work and income history makes you a strong candidate for a loan along with a good credit history. 4. Organized your documents before going to a lender. Typically, they will ask for recent pay stubs, past two years of W-2's and tax returns and the past few months bank statements. 5. Figure out your down payment. Have you been saving for this? If not, get started now! You will need some monies besides your loan amount and to also show that you are a serious buyer. The home buying process can be thrilling and exhausting but with planning, diligence and the right people by your side to help you through it, you'll be in your home in no time! Good luck! So you're interested in buying a home? Now is the time to start preparing for the home buying process. There are many steps to take and the sooner you begin, the sooner you'll be in your new home. 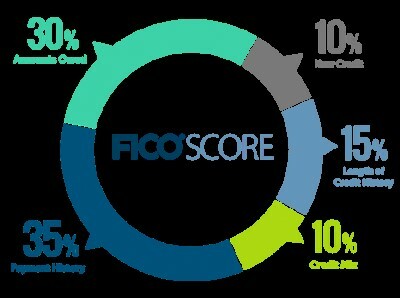 The first step is to take a look at your credit score, also called FICO score which is a simplified calculation of your payment history of debts and loans. If you're borrowing money to buy a home, lenders want to know you'll pay them back in a timely manner, and a credit score is an easy estimate of that. Get your score: There are three major U.S. credit bureaus: Experian, Equifax, and TransUnion, that each release its own credit scores and reports. Their scores are pretty much similar yet they are pulled from different sources such as rent payments and prior employers. You can go online to each to get a free copy every 12 months but it doesn't include your credit score. To get that, go to each company and you'll have to pay a small fee. Some credit card companies offer free access to score and reports, so you can check with yours. Once you've got your report, be sure to review it carefully to be sure it's accurate. If you find errors, it is important to send a dispute in writing to the bureau with as much documentation to back it up. It may take some time to resolve, but once the info is removed, you should have an increase in your score. Assess where you are: Basically, the higher your credit score is, the better your credit history is and you'll have better opportunities for a home loan. The Federal Housing Administration (FHA) requires at least 580 to permit a 3.5% down payment, and major lenders require more, at least 620. What can you do if your credit report doesn't add up quite yet? Don't worry, there are ways to get it back on track. Erase mistakes: If you have any one time late payments, call the company and ask that it be removed from your record. 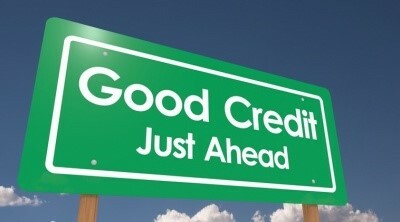 Most companies are willing to tell their reporting division to take it off your credit report. If you have a history of late payments, this won't work but for small errors, it's an easy way to boost your score. Increase limits: A simple way to increase your standing is to pay off your debt. Not an option right now? Ask your credit card company to increase your credit limit. This improves your debt-to-credit ratio, which compares what you owe to how much you can borrow. It's best not to max out your credit limits and pay them down in a short period of time. Pay on time: Get into the habit of paying your bills on time. Sign up for automatic payments so it's a no brainer. Take the time: Negative marks on your report can stay on your record for seven years. Changing your habits makes a big difference in the "payment history" of your report which accounts for 35% of your score. It's important to take the steps now to get your self on track. Now that you've committed to getting your credit on a better path, you're ready to start saving for a down payment for your home. Interest rates continue to stay low (although we are all waiting for that to eventually change) and inventory remains limited here on Maui. Perfect opportunity to sell your home, right? Market conditions may be favorable but pricing your property to sell remains the one most important decision a seller needs to make. When you first begin conversations with agents on listing your home, you should be having the conversation about what is great about your place and what isn't so great. What do you love about your home and what would you change if you could? You also need to have a realistic talk about the condition and general maintenance of your property. Your agent is doing a good job for you if they point out areas that may be problematic for potential buyers. As the saying goes, you only get one chance to make a first impression - so make it good! Identify the times that could raise issues for buyers. One old water spot on the ceiling from an old leak that was repaired will have folks questioning the integrity of the entire roof. Paint it. You may love your collection of knickknacks from your travels, but to others it just looks like a lot of junk. Declutter it. 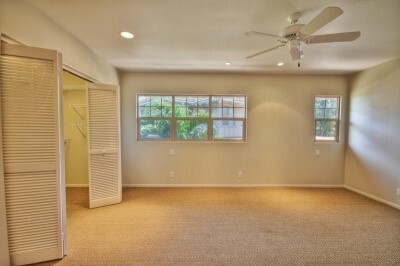 And that hall closet and garage that have served you so well as extra storage - Clean it. People buy what they see and if they see repairs and dirt and clutter they will move on to something else. Spend the time and the money necessary to lighten, brighten and make your home as welcoming as possible. When a property goes for sale we experience what I call the Honeymoon Phase. New listings generate interest with clients and other realtors. The listing agent will typically put the property on a realtor caravan, have open houses and devote both social media and other marketing efforts to get the word out. How long that Honeymoon Phase lasts can vary depending on the market, but it generally doesn't last longer than 30 days and sometimes even shorter than that. All of the things discussed above are very important but none of it will make much difference if the price isn't right. Typically sellers want to overprice their property and that's understandable. Most of us have a lot of time, energy and dollars in to our homes. However, the market, and buyers in particular, are looking for value. No amount of marketing can overcome a poorly priced home. On Maui, the average days on market in 2015 through May for single family homes is 111. Your goal as a seller should be to beat that average. The longer the house stays on the market, the harder it is to sell. Once that Honeymoon Phase is over, buyers and realtors both tend to move on and look at what's new on the market. The only way to get their attention back is to drop the price. That can be a slippery slope because the longer your home stays on the market and the more price reductions you make, the more likely response from buyers is wondering what's wrong with the property. Don't chase the market downward. You just won't win. Price your property to sell right from the beginning and you will get a price you are comfortable with and a SOLD sign in your front yard much faster.